He clocks in at 1:01.209 and that's a decent run without any penalties for Dolderer. But he now looks to be testing out some new tactics as that buzzer is off! And he's under review... it's 1:07.468 with a whopping 8s in penalties! 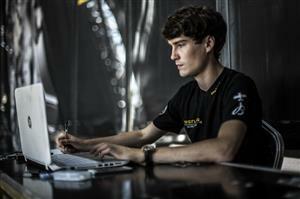 Dolderer places 5th so far, with 5 pilots to go in Training 3 ahead of this afternoon's Qualifying. 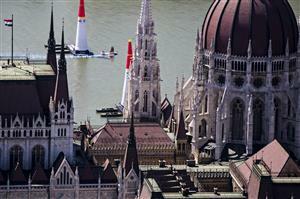 And now it's the defending World Champion Nigel Lamb who takes to the skies over the Danube. 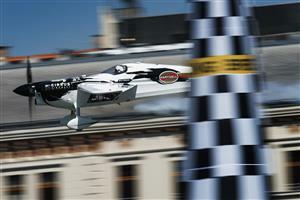 This is a critical race for the British pilot if he wants to get his title hopes back on track. But that buzzer is going off all over the place and we can only hope he's using the flight for testing new lines. 1:04.468 incuding 4s too high gate 5 and climbing in gate 9 – just like McLeod. It's 1:02.563 incorrect level at gate 13 - the northern turn of the second lap. One more go... until his time runs out for training. 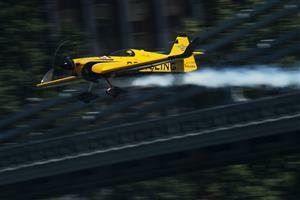 Bonhomme stays out in front, with just four pilots to go... including Mike Goulian who's up next. Cleared into the track! That is a blinder for the American – WOW! It's a clean 1:00.545 and he'll be thrilled with that! Looks like he's sorted out his appoach for gate 9, where he picked up a 2s penalty yesterday. 1:01.235 for Goulian's 2nd run – his first run puts him right up there just behind Bonhomme! Go Goulian! 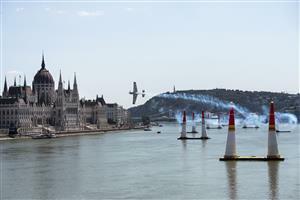 But the man of the moment, Matt Hall flies into the track next and he's got the hunger for the win here in Budapest. 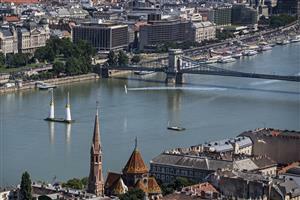 Australia's Hall is blazing a trail in the heat of Budapest! Maybe it's his special chilled flying suit that is giving him the edge? It's a 59.416 and knocks Bonhomme off the top spot! Second run is just as convincing – we could see an Australian take the win here if he carries on like this. Our expert track analyst said Hall has really got the track nailed and his approaches to the vertical turns are the most efficient of all the pilots out here. It's 59.668 and he is right on the money! Martin Sonka of the Czech Republic is next into the track. Since joining in 2010, Sonka has made a steady climb to be among the podium contenders. First time is solid for Sonka and it's clean – 1:00.272. This is the best flying we've seen so far this week but this is a 1:03.640 so not quite there - but it's clean, so he's making progress! Two chances to get this done right... and the fastest time will count. NO! That's a penalty at gate 6 and an immediate 2s. Flat in the turns, and now it's a sprint for the finish – 1:03.841 including the 2s in penalties. Without the penalty it would be faster than Le Vot, so he's got the power from his Edge. 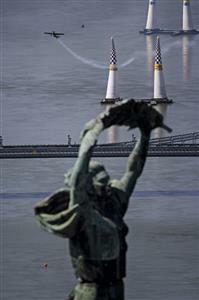 Under the Chain Bridge and he's back to beat that time... through gate 6 clean and he's halfway through the track here in Budapest. He's in the green and clearly learning from his mistakes - that's the way to go! Homegrown hero Peter Besenyei up next in his new Edge 540 V3... it's a looker, for sure and it's got some slick mods. 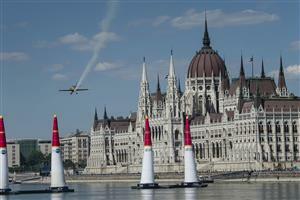 His wingtips took 2 weeks to have computer modelled but will they do it for the Hungarian? Seems not. That's the buzzer and he's got to watch out for the over G here with the better machine, now he's swapped from the Corvus.